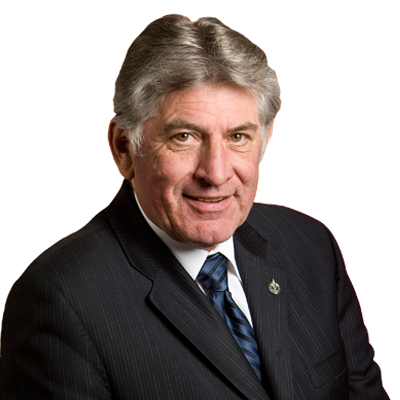 Dave MacKenzie, a long time Woodstock resident with a history of civic engagement in Oxford County, was first elected to represent Oxford in the House of Commons on June 28, 2004. Dave served as the Conservative Party of Canada’s Critic for the Associate Minister of Defence, in addition to his tenure on the Standing Committee of National Defence and Veterans Affairs. During his first session in the House, Dave also spoke on Oxford’s behalf in favour of greater agricultural support, democratic reform, and accountable government, and economic policy that makes sense for hard-working Canadians and their families. Dave was appointed Parliamentary Secretary to the Minister of Public Safety in 2006 and served in this capacity until 2011. In May 2011, Dave was appointed Chair of the Standing Committee on Justice and Human Rights and served in this position until January 2012, when he was appointed Deputy Government Whip. As of January 2018, Dave is again a member of the Standing Committee on Justice and Human Rights. Dave served as a distinguished member of the Woodstock City Police from 1967 to 1997. Throughout this period, he served his community as a Constable, Detective, Inspector, Deputy Chief of Police and Chief of Police. Dave retired from the police force in 1997 and was named General Manager for Roetin Industries Canada. Dave’s community service continued through his volunteer activities, including the Woodstock General Hospital Foundation, the Woodstock Rotary Club, and the United Way of Oxford. Dave also served as the fundraising chair for the Woodstock Seniors Centre and as the initial chair for the “Building the Vision” campaign for the construction of a new hospital in Woodstock. Dave and his wife Lynda reside in Woodstock. They have three adult children. Dave enjoys spending time with his grandchildren, cars and racing.